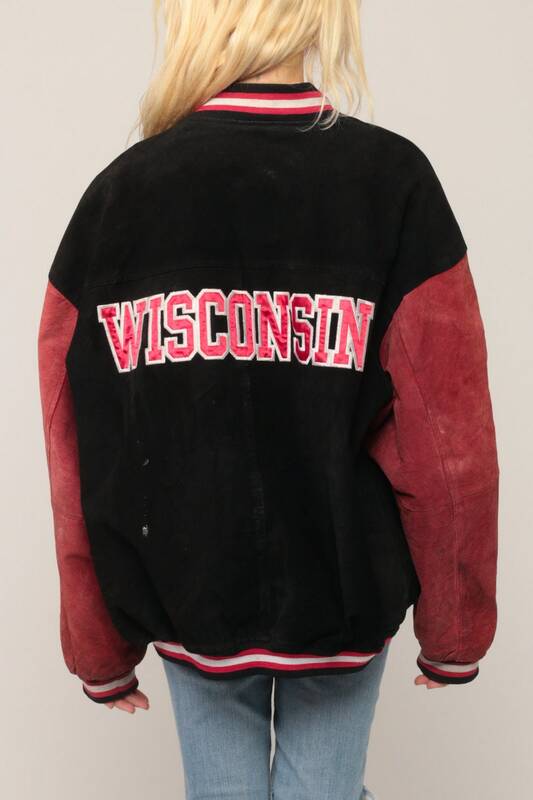 Vintage 90s jacket in suede leather with the Wisconsin Badgers football logo on the front and back. Unisex. For reference, model is 5’9” and measures 34-23-34. Condition: Distressed. Spots, faded areas, and discoloration throughout. Water stains and spots along the zipper towards the waist. See photos.